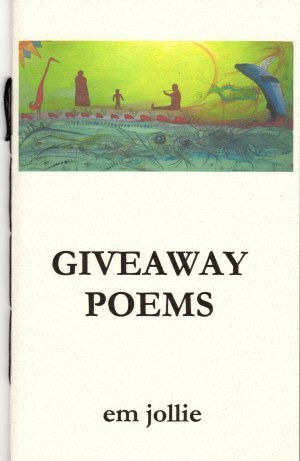 Giveaway Poems makes a stand against those who tear apart the sacred web of life, not by brash confrontation but by patient affirmation of Earth, Sky, and all vivid existence. This book is beautifully, womanly and indigenously relational, and many of Em's poems address and honor others. Prepare to be gifted to. I have been waiting, yes, we'll go whenever you are ready. Poet. Artist. Lover of the Living Earth. em jollie celebrates all genres of creative expression. 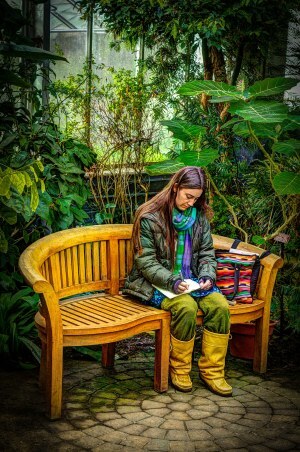 In addition to writing poetry she is developing several prose pieces. Many of her hours are dedicated to gardening, crafting, making visual art, and playing traditional wood flutes. em was raised in the Woods on the Land currently considered to be the Northeast U.S., in a tiny Western Massachusetts town. Her journey has taken her in many Circles that just recently brought her back to this area. em jollie identifies as a Full Blood Breed … since a very young age she has drawn inspiration from her Native roots: Mi'kmaq (matrilineally), Anishinaabe/Pocumtuc (patrilineally), and a smattering of other ancestors, including Acadian French, Scot, and German heritage. em sees her work as an amalgamation of protest & prayer; in gentle rage & sure-footed love she seeks to address the collective injustices of a world rife with colonial conquests … and full of devastating Beauty … of Beauty … & Beauty. Alan Syliboy was born and raised on the Millbrook First Nations Reservations in Nova Scotia, and like many others of his generation he grew up believing that First Nations artwork was generic … or what you saw on television and other mass media sources. As a youth, feeling unsure of his talents and his identity, he found painting painful and difficult. It wasn't until he met and studied privately with renowned Maliseet artist, Shirley Bear, that he found his confidence and began to take his own path. He eventually found great inspiration in the petroglyphs of his ancestors that have been discovered in ancient rocks all over the Maritimes. This spiritual connection has become the driving force of his artwork over the past forty years.